Animated Desktop Alert Software – Insert animated graphics into desktop alerts for impactful internal communication. With respect to business continuity, an internal notification solutionin place is a great asset. IMPLE… A small business communication software package is installed locally or deployed to all end users in your company which allows them to view all desktop notification alert messages that are sent directly on screen and view older messages from their own history console. Fully Customizable Scrolling Ticker Alerts!… Powerful Scrolling Headlines…Brand with your Company Logo…HyperLink alert message to drive viewers to other resources…Update Staff Immediately…Send to Entire Company, Departments, Individuals or Customize Your Own Group Distributions…Rapid Notifications Without Disrupting Work Flow…Multi Headlines Tickers…Complete Viewing and Acknowledgement Reports…CALL XComms Today For A Free Trial! PERSISTENT Desktop Alerting :Set desktop alerts software messages to remain on the screen, or to reappear at scheduled intervals, prompting the employee to respond or acknowledge that they have viewed the message. FLEXIBLE Desktop Alert Options : Desktop alerts also include read now or read later options, as well as the flexibility to display full screen alerts for emergency alert notifications. Easily determine the size, positioning and prominence of the desktop alert window for each message pop-up. Multiple Desktop Alert Software Solutions! Email Outage On-Screen Alert Notifications. Email Outage Internal Communications Software for email outage alerting. XComms direct to screen email outage notifications to facilitate email outage communication and guarantee company wide awareness of email status updates across any network, location, device or platform. .
With an easy to use web based console you can deploy custom email outage notifications to select individuals, or locations, Active Directory groups or custom groups, or broadcast to your entire organization instantly through various cut-through communication channels. It’s not a matter of IF but WHEN organizations of any size experience an email outage whether major or minor. Whether the email downtime is caused by general mail server errors or if email is offline due to planned maintenance, in any situation lack of communication can result in operational inefficiencies both internally and externally and ultimately cost the company money in operational expenses and possible revenue loss. IT department resources are certainly better spent investigating and correcting email outages rather than fielding helpdesk calls only to be informed of what is already known and being addressed. Using Internal Outage Alerting Software will greatly improve overall internal communication and operational efficiencies by giving organizations the ability to broadcast email outage communications to affected individuals, departments, offsite locations or the entire company instantly. Proactively communicating email disruption and setting the right expectations for possible email downtime duration goes a long way in alerting those who might have less than reasonable expectations of email being restored as fast and with as little pain as possible. How Does Email Outage Notification Alert Software Work? From a web-based console an assigned desktop alert administrator from IT or any department can easily create and deploy proactive notifications to the employee base informing of email outages, downtime duration, causes of email disruption and problem resolution across any network or location and on any device. With speed in mind, administrators will have access to previously created email outage notification templates to simply select, edit and send. All end users will receive proactive email downtime alerts within 60 seconds of being published. Send Internal IT Alert Notifications To Update Organization In The Event Of System Outages, Planned System Maintenance, Unplanned Outages, Security Updates, Network Status, Ticket Alerts, Server Update, Help Desk Alerts, Latency. Outage Management System For IT. Notify Employees of System Updates With Desktop Alert System. Perfect for any Network Team, Help Desk or IT Department. Keep IT Department working as effectively and productively as possible with an internal employee alert system. Full Network Targeting Internal Notification System. All With Full Tracking and Analytics! Keep IT Department working as effectively and productively as possible with internal employee alert system. ▪ Desktop alert messages pop up on targeted network desktop monitors, common area screens or mobile devices. ▪ Get immediate feedback and acknowledgement rates from IT desktop alert’s real time analytics functionality. ▪ Target alerts to specific network users, departments, locations or entire company. Full Active Directory Synchronization and Auto Update. ▪ Set desktop alerts messages to remain on the screen, or to reappear at scheduled intervals, prompting the employee to respond or acknowledge. ▪ Desktop alerts reach all staff, regardless of their location or network. Target multiple locations and mobile devices. ormed of IT system outages, maintenance, service disruptions and security awareness with IT Alert Software. Full Tracking and Complete Targeting Network Notification Solutions for IT and Help Desk Employees. Send important IT updates directly to staff as desktop pop-up alert messages. Update staff without disrupting workflow with desktop scrolling ticker messages. Publish IT communications directly to any employee desktop background. Increase employee skills and identify knowledge gaps with custom staff quizzes. Pulse check your staff by creating and deploying instant employee surveys. Push Employee Newsletters directly to desktops and mobile devices. Customize qualifying questions and offer opt in for any event or opportunity. Keep all employee who are on the go connected, informed and accountable. Attach, embed or link videos and enhance visual communication to all staff. 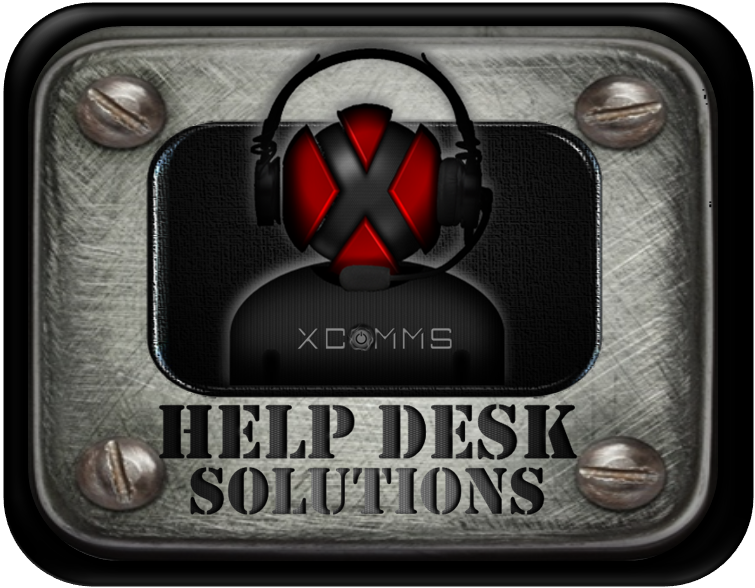 X-Comms Direct Solutions empowers you to immediately send out desktop alerts through various flexible messaging channels so your key messages will never be ignored, pushed to the side or deleted. Reach all employees directly with full desktop targeting, scheduling and real time acknowledgement reporting. The desktop scrolling ticker alert feed is a perfect vehicle for communicating important updates, reminders or general information. Use scrolling ticker alerts to target individuals, custom groups, departments, multiple locations or the entire organization with just a few clicks. Desktop Alerts is a powerful mass notification system with full tracking that can deliver urgent messages to any employee across any network that can never be dismissed, ignored or deleted. Having a reliable desktop notification software system is an incredible tool for instantly distributing key internal communications with guarantees of awareness and acknowledgement of what matters most, when it matters most. The end user will be able to view desktop notification software messages directly sent to their screen, view scrolling ticker alerts, take employee quizzes, participate in surveys, read newsletters, elect to participate in company events with an RSVP function, and have an open communication with administrators regarding anything related to their position, responsibilities or general company information. PERFECT TOOLS FOR INTERNAL COMMUNICATION! PERSISTENT Desktop Alerting :Set desktop notification software messages to remain on the screen, or to reappear at scheduled intervals, prompting the employee to respond or acknowledge that they have viewed the message. MEASURABLE Desktop Alert Readership : Get immediate feedback and acknowledgment rates from desktop notification software. FLEXIBLE Desktop Alert Options : Desktop alerts also include read now or read later options, as well as the flexibility to display full screen alerts for emergency alert notifications. Easily determine the size, positioning and prominence of the desktop alert window for each message pop-up. Multiple desktop notification software Solutions! Employee Screensaver Management enhances your company’s internal communication effectiveness with targeted and easy to use Screensaver Management Software. Embed strong images to support your key messages. Deliver video directly to screens via screensaver alert channel. Convert PowerPoint into flash animation and deliver directly to all screens. Incorporate event countdown clocks to create a buzz around key events and initiatives. Direct employees to internal and external resources with embedded hyperlinks. Use common area screens to publish valuable communication to ensure that all who pass by will be exposed to your content. Target Screensaver messaging to individuals, custom groups, departments, multiple locations or an entire organization. Significantly less expensive than traditional digital signage alternatives. Take advantage of common area and unattended workstations to communicate with everyone. Drive screensaver viewers to other internal or external resources by embedding hyperlinks directly into screensaver. Direct employees to information resources and feedback forums including polls, general employee surveys or interactive forums. POWERFUL Broadcasting Functionality : Corporate Screensavers can be delivered to any computer or common area screen on or off active directory. DIVERSE Targeting : Target screensaver content to all screens to user machines on existing networks, machine based targeting and/or newly created groups. Measure screensaver delivery and display rates quickly from an easy to use web-based console. VERSATILE Targeting Devices: You can easily push screensavers to employee machines, common area screens or smart TV’s. Screensaver Rotation : Have multile screensavers scheduled to rotate at pre-detmined times and dates. HOSTING OPTIONS: Cloud and Local Hosting available. RAPID DEPLOYMENT: Little IT resources required. Desktop Alert System Up and running in a matter of hours. AFFORDABLE: User and Machine Based Licensing available. Turn unattended desktop screens and common area displays into digital signage to get everyone’s attention with stunning rich content communicating your company’s messages, initiatives and key values. Using a desktop scrolling ticker allows for instant employee notification without disrupting workflow. The scrolling ticker crawls a headline across computer screens and auto-adjusts all active windows to re-size over the alert creating immediate alert awareness without being invasive. Perfect Way To Keep Everyone In The Loop and Improve Internal Communication in ANY Organization! Customize the desktop ticker alert with logos or category markers. Easily set multiple headlines to scroll in a single desktop ticker alert. Add hyperlinks to desktop ticker alert to drive recipients to internal or external resources. Schedule scrolling news ticker to launch on specific dates. Depending on the response you are looking for would determine how your employees are to receive a scrolling ticker alert. You can specify if you would like the desktop scrolling ticker alerts to run continuously, appear at designated times or be dismissed when the employee acknowledges the alert. Send RSS Feed news, external alerts, multimedia from any RSS enabled source. Scheduling is easy with pre-determined date and time you would like your ticker to repeat without the added administrative effort. Position scrolling ticker to appear on the bottom of the screen, top or directly in the middle. Add acknowledgement button to every ticker alert. Insert images or logos directly into ticker alert. Compare to productivity goals to determine if message or frequency of scrolling alerts need to be adjusted. The XComms button can connect to any computer via a USB port and any instant alert can be easily programmed into any button with short press, long press, alternate or extended alert triggers. In addition to the many easy to use deployment tools XComms Offers, We are now offering Exclusive one touch notification buttons to deploy instant mass communication alerts to any device across any network from XComms. Users can immediately notify any predetermined audience including desktops, mobile devices and common area screens with a push of a button. Assign Instant Alert Notification(s) To Button in Seconds. Determine Alert Action Sequence(s) When XComms Button is Pressed. Program Any RGB Color Illumination Easily When XComms Button is Pressed or Released. The XComms button comes with an easy to use alert builder that allows users to quickly assign notifications to a button and pre-program the button with any pressed and released state colors. The XComms Button can be used to deploy any alert notification. From the more crucial emergency alerting to creating general awareness regarding corporate information or business disruptions such as system outages, downtime and maintenance …The XComms Button will save crucial time and get the word out fast. Having the XComms Instant Alert Solution and button in place will provide instant, easy, one touch emergency notice deployment. Whether it is a general IT system outage, email outage, or downtime notifications, everyone affected can be immediately notified with a simple push of a button. All affected individuals can be informed of resolution updates on any device. Desktop, mobile and common area screens can display resolved situation notifications. Display key information In the event of a fire emergency or even a fire drill to instant awareness and provide safety measures. Instantly activate an emergency notification to inform anyone on any device that there is an emergency and provide actionable content. Having advanced notice of extreme weather conditions can be a key factor in preventing accident and injury. By activating an instant alert, all of those affected will receive advance notice of potential dangerous situations or closings. Providing immediate notice of business disruptions can save time, money and prevent confusion. Create awareness instantly with a simple push of a button. Provide instant directives to avoid potential tragedies. Up to Date Communication is absolutely crucial in any crisis event. 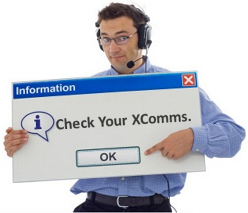 The XComms Button is the tool to use to instantly notify any individual on any device of critical information. Discreetly notify preselected recipients of any instant alert without alerting anyone to the fact that a silent alarm has been activated. Instantly notify faculty, students and families in the event of an emergency campus lockdown on any screen or device. You can have as few as one XComms Button connected to any machine or with a USB Hub you can create a control panel of alert buttons for instant access to the most critical or commonly used alert notifications.